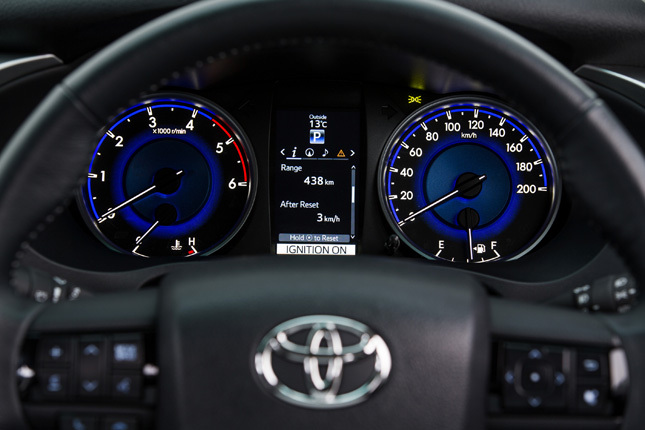 As we've already told you, Toyota Motor Philippines is launching the all-new Hilux at the end of this month. 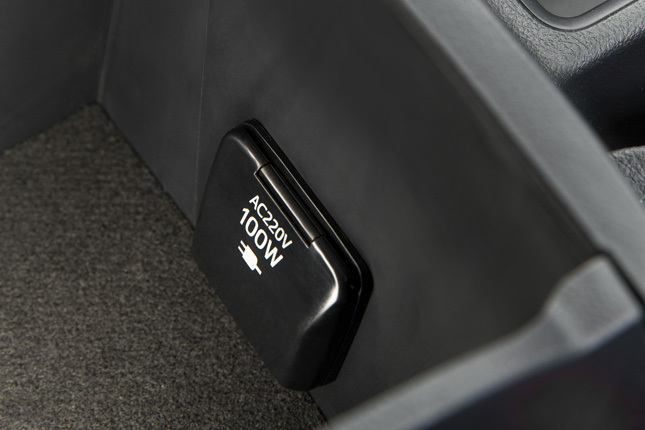 Understandably, pickup fans are very excited, and they want to know more about this new-generation model. TMP already has actual units in its custody, but we have yet to get our hands on one. 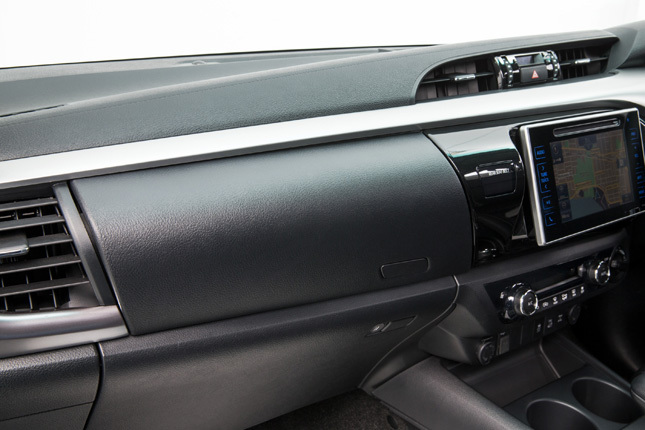 Still, that shouldn't stop us from giving you a more concrete idea of what the new Hilux looks inside (since you've already seen dozens of exterior shots). 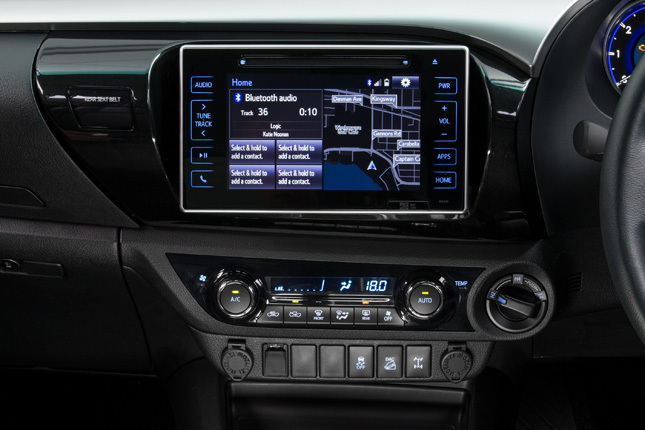 So here they are--photos of the much-awaited Toyota pickup's interior. To point out the very obvious, the images you see here were taken from a right-hand-drive Hilux--an Australian-market Hilux, to be specific. 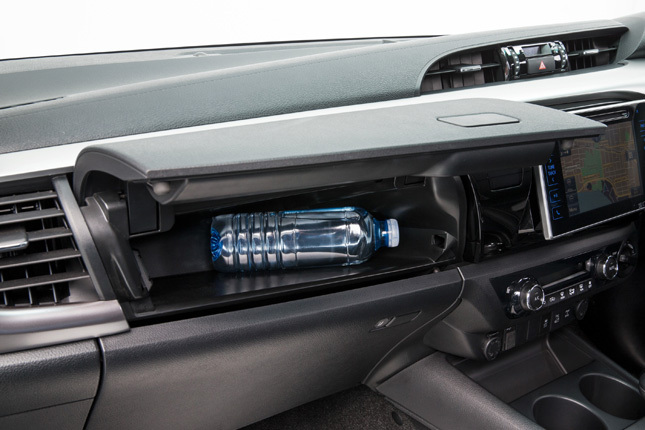 But just mentally rearrange the elements and you already have a clear picture of what a left-hand-drive Hilux's cabin will look like. 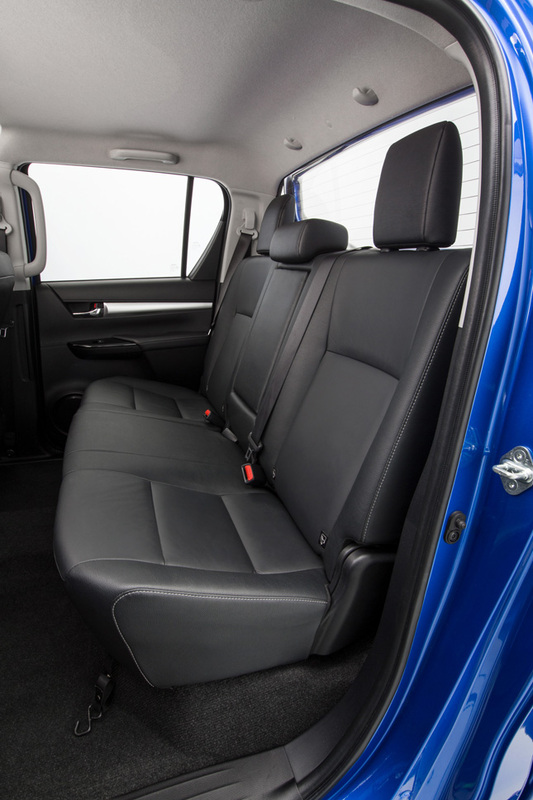 Toyota claims the new Hilux has an "increased front headroom and shoulder room, an expanded range for seat-height adjustment, and tilt-and-telescopic steering." 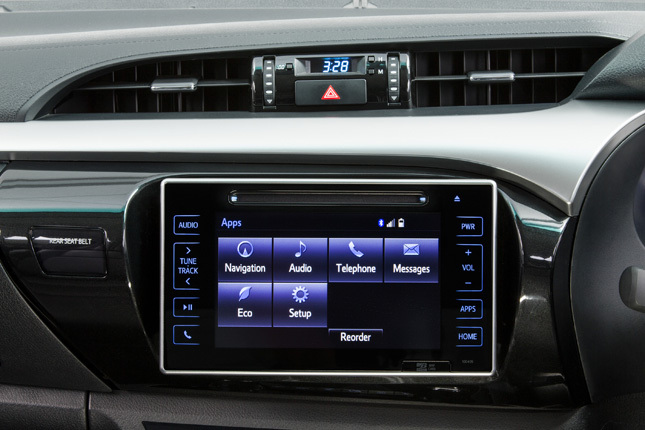 Notable in the pictures is a tablet-style touchscreen, which we expect our Hilux units to also have (crossing our fingers). 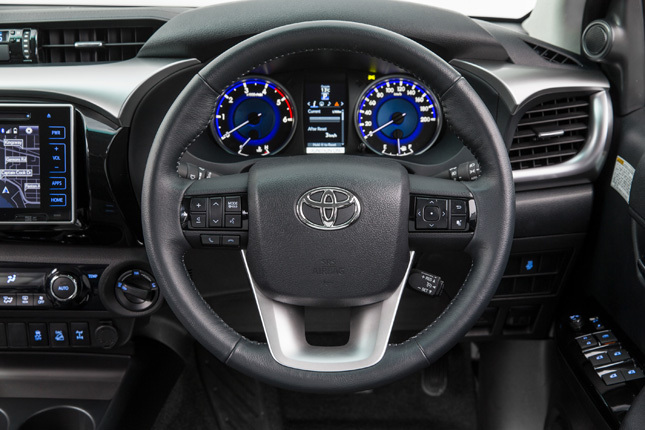 The steering wheel and the colorful instrument cluster look like those of the all-new Fortuner. 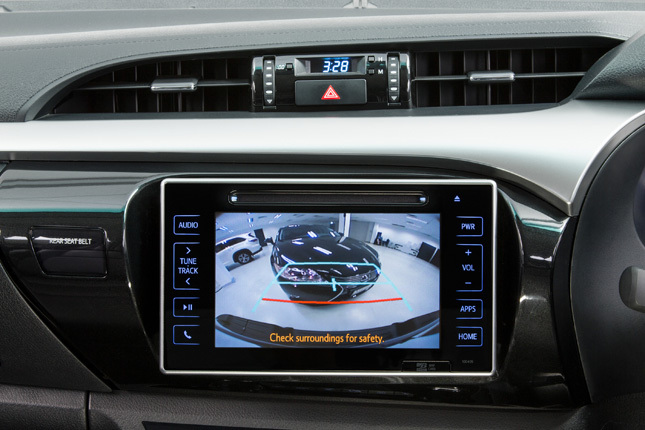 One of the photos also indicates a monitor for the backing-up camera. 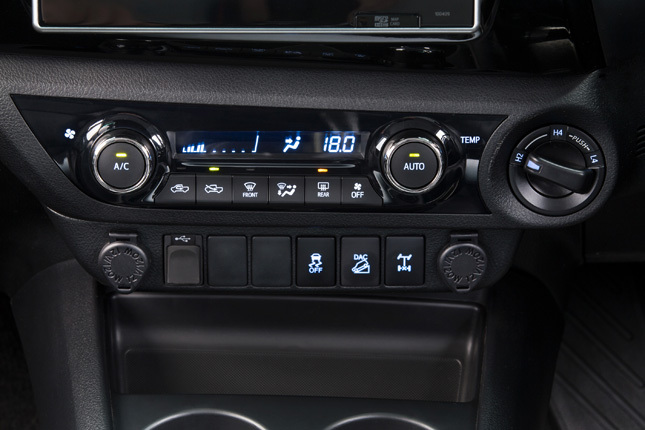 Finally, we see brushed-aluminum and piano-black accents, leather seat material and, perhaps most interestingly, buttons for off-road driving aids. 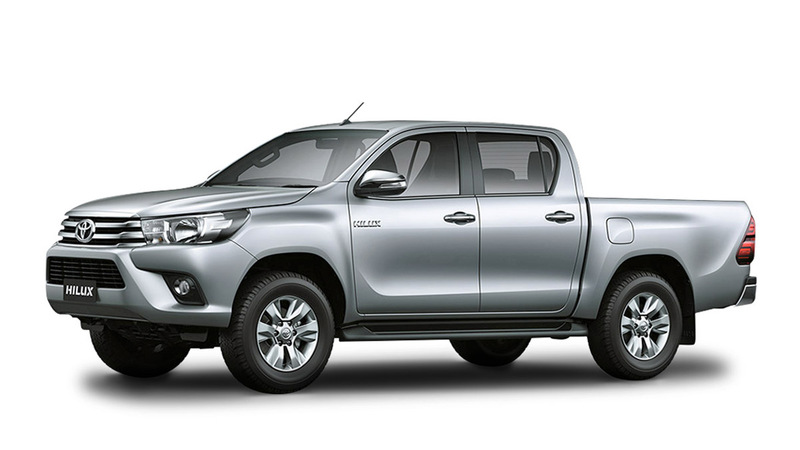 The Hilux we have here is most probably a range-topping variant. 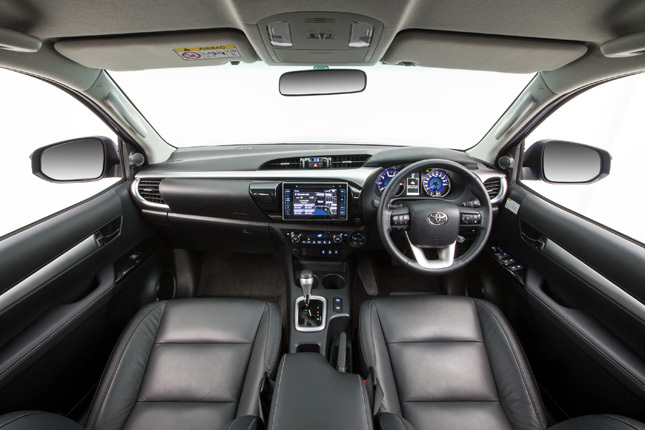 What do you think of the new Hilux interior? 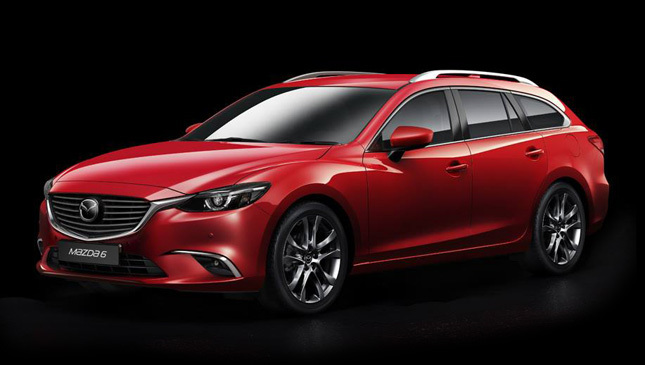 Are you feeling what you've been shown so far?